This volume is fourth in the much-acclaimed AMS series, What's Happening in the Mathematical Sciences. 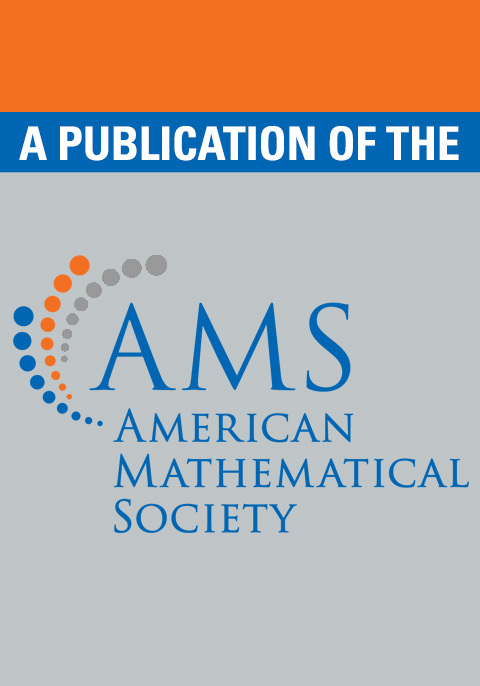 The lively style and in-depth coverage of some of the most important "happenings" in mathematics today make this publication a delightful and intriguing read accessible to a wide audience. High school students, professors, researchers, engineers, statisticians, computer scientists—anyone with an interest in mathematics—will find captivating material in this book. As we enter the 21st century, What's Happening presents the state of modern mathematics and its worldwide significance in a timely and enduring fashion. “From Wired to Weird”, on advances that are encouraging research in quantum computation. “A Prime Case of Chaos”, on new connections between number theory and theoretical physics. “Beetlemania: Chaos in Ecology”, on new evidence for chaotic dynamics in an actual population. “A Blue-Letter Day for Computer Chess”, on the mathematics underlying Deep Blue's victory over Garry Kasparov, and much more! This lively presentation of an amazingly wide spectrum of happenings in mathematics is impressive … [this book] should be presented to a wide audience even outside mathematics, which could be fascinated by the ideas, concepts and beauty of the mathematical topics. Who—or what—is the world's best chess player&quest; Is quantum chaos lurking within the theory of numbers&quest; Will future computers cash in on the weirdness of quantum mechanics&quest; Can populations behave chaotically&quest; Did a mathematical essay by Henri Poincaré inspire the revolutionary development of modern art&quest; These are among the fascinating questions addressed in the present volume of What's Happening in the Mathematical Sciences. Even though these articles describe many cutting-edge areas of modern pure and applied mathematical research, they can be read and appreciated by anyone with an interest in mathematics. The articles are very well written, and usually include quotes from the mathematicians who were involved in the work in question, giving the whole thing a more “human” feel. This book offers professionals a way to keep abreast of what's going on in the field and also gives us a way to share with our students and colleagues some of the excitement of doing mathematics. Don't miss it. An excellent source of information. Through his writing, diagrams, and sidebars, Cipra offers historical background, mathematical connections, and insight into the world of research mathematics. Throughout the book, he connects modern mathematical ideas to important applications in computer science, physics, biology, security codes, and art. He also presents and intriguing blend of historical and contemporary mathematics in each chapter. An excellent resource for high school mathematics teachers and their students. The perennial task of bringing mathematics before the general public attracts expositors wielding a diversity of strategies who pursue goals that range from enticing further study and inducing appreciation to merely diminishing fear. Cipra's What's Happening in the Mathematical Sciences surveys late-breaking mathematical news. Though he includes material on such familiar topics as computer chess, chaos, Escher, and cryptosystems, he also discusses less familiar territory such as quantum computers, automated theorem provers, and algorithmic algebraic geometry. Here undergraduates might easily make their first acquaintance with a topic that could shape the course of their future studies and, beyond that, their professional lives. An essential acquisition. This is the fourth volume of an excellent series … transferring contemporary mathematical research in a delightful and exact manner to both non-mathematicians and mathematicians … hot topics and profiles of outstanding mathematicians … pleasant to read … The reviewer looks forward to future issues. Another choice of new exciting developments in mathematics. These volumes really deserve a large audience, students as well as researchers will be fascinated by the insights and overviews presented. The topics chosen and the lively writing fill a notorious gap—to make the ideas, concepts and beauty of mathematics more visible for the general public … well-illustrated … Congratulations to Barry Cipra.